An interesting option for those who prefer Mediterranean coastal coves to large open beaches is the fishing village of El Portús which lies within the large municipality of Cartagena. El Portús is located 11 kilometres from the city of Cartagena is reached from the turn-off at km 2 of the N-332 coastal road. The road takes visitors through winding country lanes into the heart of the Cartagena countryside, passing through the village of Galifa before dropping down to the natural harbour. A stop-off can be made on the way through Galifa at a traditional "venta" known as Casa Ramírez y Isabelita, which has been run by the same family since 1927. Hams hang from the roof, a tantalizing selection of wonderful cheeses and meats beckon from the cold counter, and a full supermarket and fresh veg selection make it easy to put together an impromptu picnic. 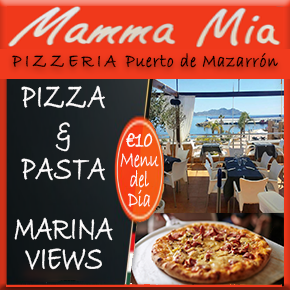 As with all these ventas, there is a bar for coffees and the restaurant area serves tapas and light meals. These ventas date back to the days before supermarkets were the norm and are a great find for those who enjoy sampling "Real Spain". 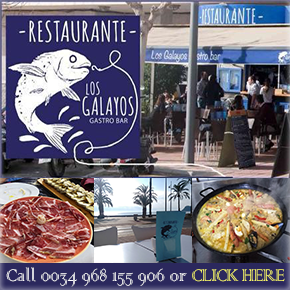 If you haven't bought supplies and want a full restaurant meal, it is necessary to head into Canteras, about 3km further towards Cartagena, where the Bar Moreno offer a menu del dia, or carry on for a further 2km towards Cartagena to stop at the atmospheric Sacramonte, which, although absolutely typically Spanish (tapas, grilled meats and fish) and very popular with locals is fairly steeply priced, but the food is good. Driving down to El Portús, there is a naturist colony stretching back into the hills from the road on the left-hand side, and arriving at the anchor roundabout drivers can select either the left hand turn which drops down the hill to the rambla and then turns right up the rambla to Playa Morena, or right down to "fisherman's beach" as it's known by the locals. There is parking down by the beach, but it gets fairly packed in summer and it may be necessary to park a little way up the hill and walk down. 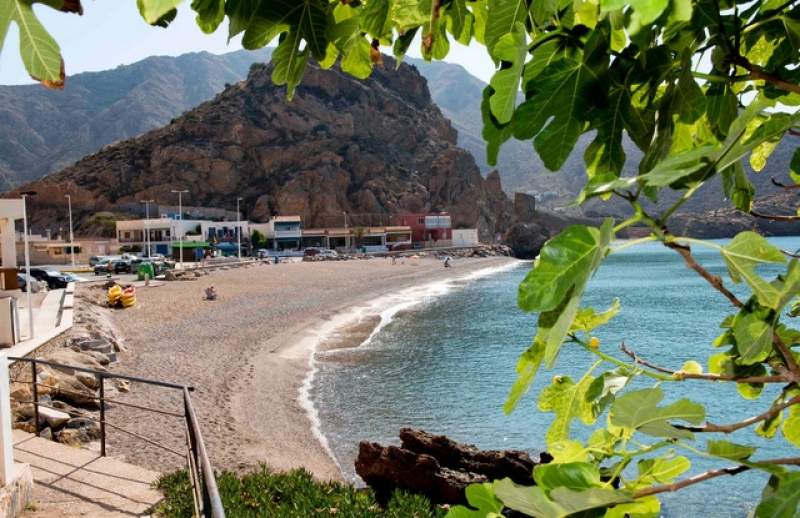 The official name for "fisherman's beach" is Playa Portús, which is a protected cove with a sloping beach, about 350 metres long, and 15 metres wide, pebbly rather than sandy. A lifeguard is on duty from 11am-7pm in the peak summer weeks and although the beach shelf slopes fairly steeply to deep water, there are no currents or rocks that present any great danger in normal bathing conditions. 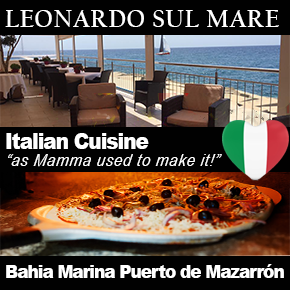 The beach is serviced by a chiringuito bar in the central plaza serving drinks and ice creams, and there is also a footwash, and toilets adapted for those with disabilities, as well as wooden walkways down onto the beach. Unfortunately in recent years rock falls have affected some of the houses which fringe the beach. The actual beach itself is not viewed as being in any danger, but access to the neighbouring beach, Playa Morena, has been closed from the El Portùs end for some years due to the danger of rockfalls. The far end of Playa Morena can be accessed via the rambla, but is more challenging for bathers: nonetheless, many ignore the safety warnings and continue to use the beach as there are less people on it. 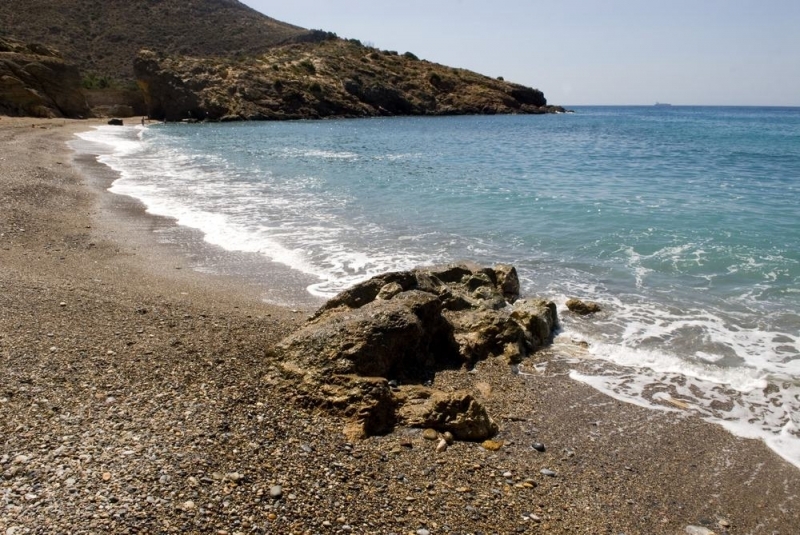 Playa Morena is also popular with canoeists and snorkelers and the more open end near to the mouth of the rambla is not viewed as being susceptible to rockfalls in the same way as the other end of the beach. Please note: The area of beach which is closed off by the council is prone to rockfalls so although some people will have crossed through the safety barrier, if you choose to do so then be aware that this could be potentially dangerous. There are plenty of other places to sunbathe in the Region of Murcia where you are not at risk from falling rocks! El Portús holds its fiestas in August every year, around the fiestas of the Virgen de la Asunción (15th August) so there is music and partying every night, with a foam party on the last weekend. 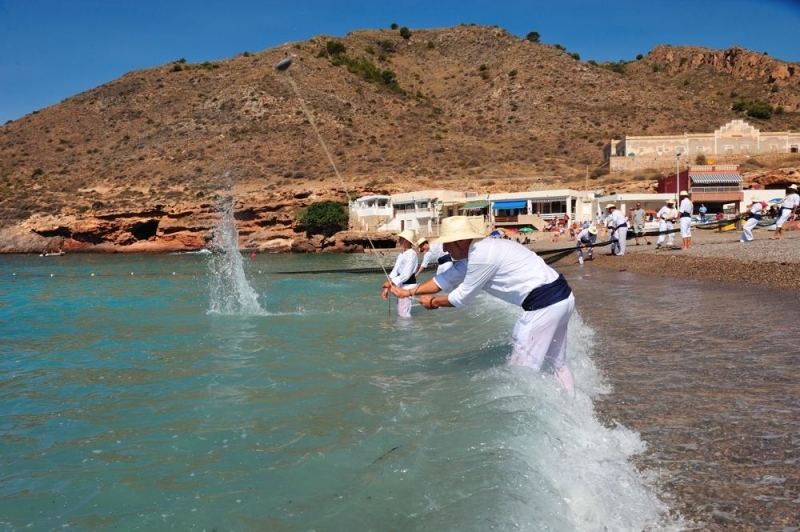 There is also an interesting demonstration of historical fishing techniques carried out by locals in costume. 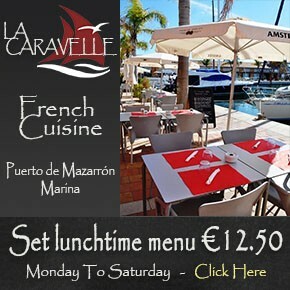 Click for further local information about Cartagena, or for an overview of the beaches of Cartagena.